"I think a lot of people get blown away by, 'Wow, there were a lot of tribes, and they covered the whole country!' You know, this is Indian land," says Carapella, who calls himself a "mixed-blood Cherokee" and lives in a ranch house within the jurisdiction of the Cherokee Nation. View the full map (PDF). 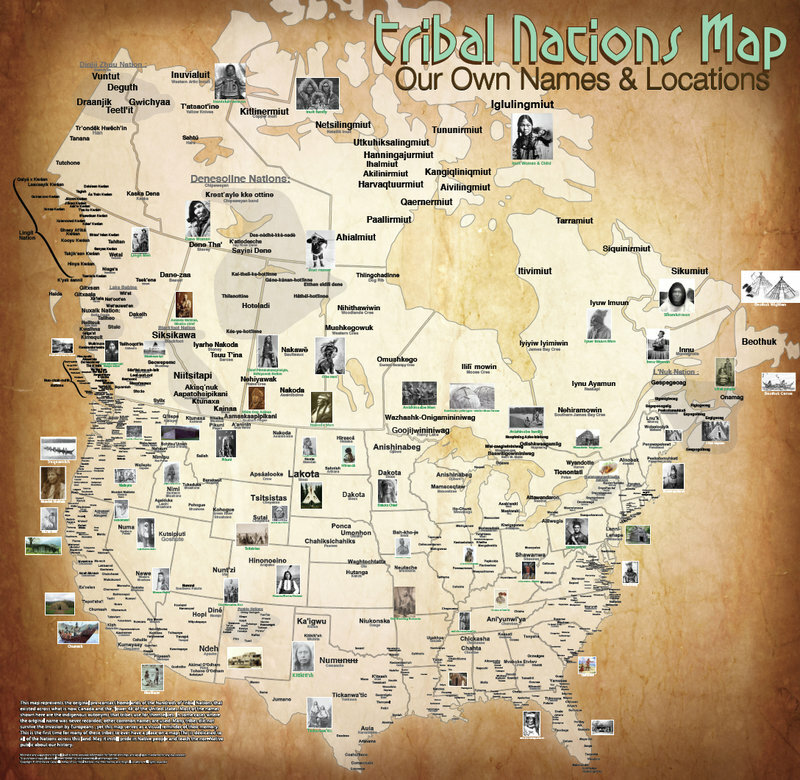 What makes Carapella's maps distinctive is their display of both the original and commonly known names of Native American tribes, according to Doug Herman, senior geographer at the Smithsonian National Museum of the American Indian in Washington, D.C.
"You can look at [Carapella's] map, and you can sort of get it immediately," Herman says. 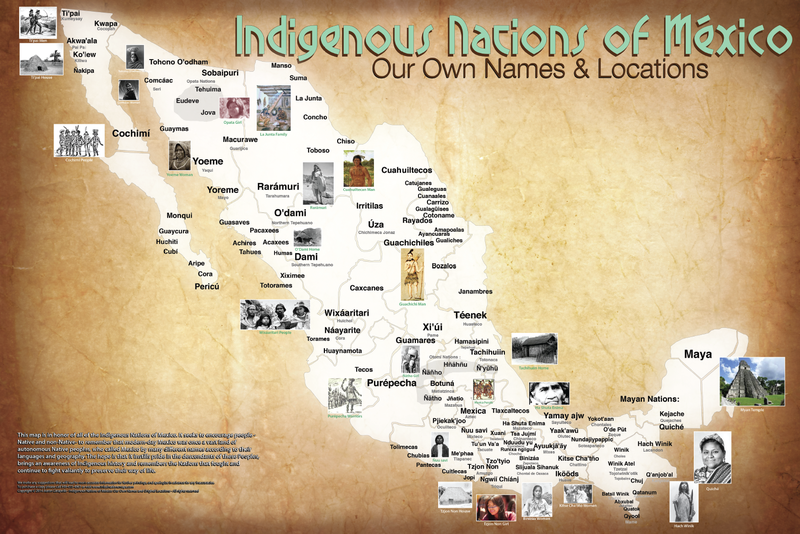 "This is Indian Country, and it's not the Indian Country that I thought it was because all these names are different." He adds that some Native American groups got stuck with names chosen arbitrarily by European settlers. They were often derogatory names other tribes used to describe their rivals. For example, "Comanche" is derived from a word in Ute meaning "anyone who wants to fight me all the time," according to the Encyclopaedia Britannica. "It's like having a map of North America where the United States is labeled 'gringos' and Mexico is labeled 'wetbacks,' " Herman says. "Naming is an exercise in power. Whether you're naming places or naming peoples, you are therefore asserting a power of sort of establishing what is reality and what is not." Look at a map of Native American territory today, and you'll see tiny islands of reservation and trust land engulfed by acres upon acres ceded by treaty or taken by force. Carapella's maps serve as a reminder that the population of the American countryside stretches back long before 1776 and 1492. 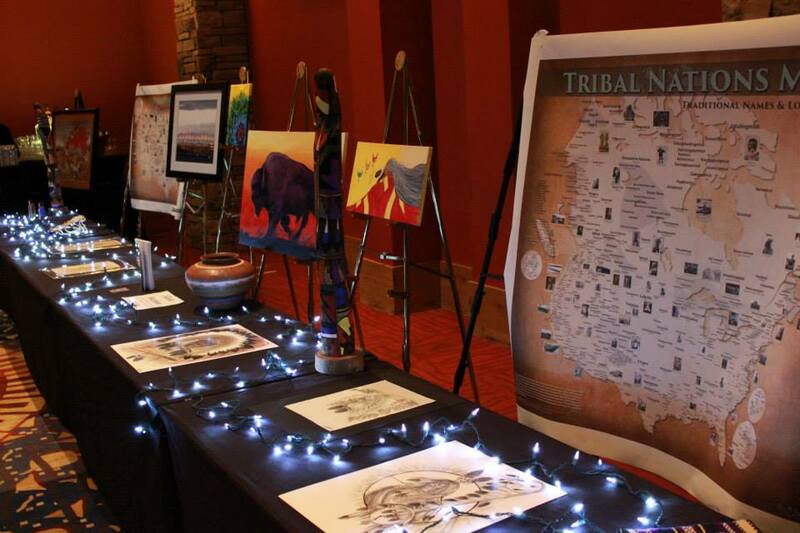 Carapella describes himself as a former "radical youngster" who used to lead protests against Columbus Day observances and supported other Native American causes. 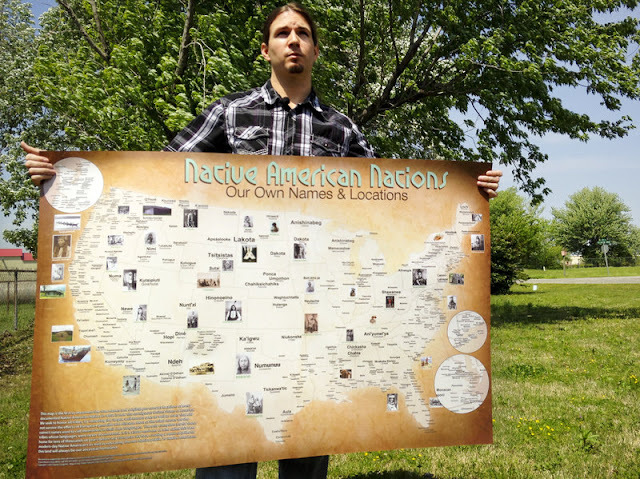 He says he now sees his mapmaking as another way to change perceptions in the U.S.
"This isn't really a protest," he explains. "But it's a way to convey the truth in a different way." Take a closer look at Aaron Carapella's map of the continental U.S. and Canada and his map of Mexico. He sells prints on his website. 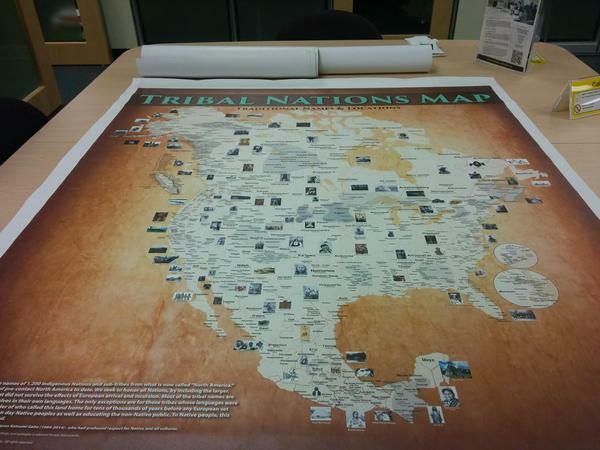 Responses to "The Map Of Native American Tribes You've Never Seen Before"
Is it possible to get a copy of a map? That was a lot of work the end result is more than awesome. Thank you so much for sharing. WOW!! The work that it took to put this together tells me of the commitment and dedication of this young man! I am MORE than impressed!! Darryl - you can download a pdf file of it.